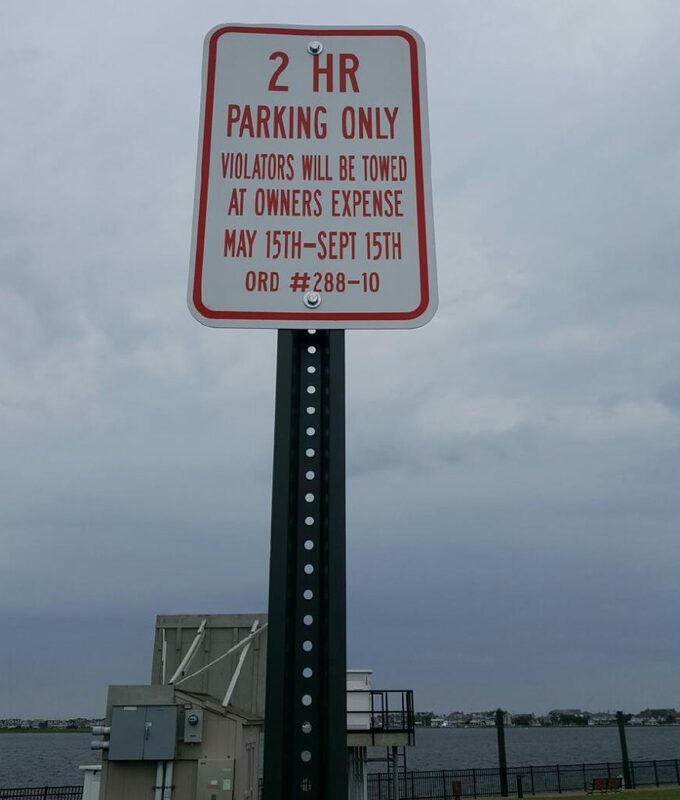 A parking lot at Brick’s Traders Cove Marina and Park will soon have a two hour time limit, but some visitors may have already thought the new rules were in place. The township council, in a 6-1 vote, passed an ordinance temporarily setting seasonal limits on parking in the lot closest to the playground area at Traders Cove. Mayor John Ducey said the ordinance was in response to people parking in the lot, then hopping on a friend’s boat to travel to nearby F-Cove. The regulations will go into effect 20 days from Tuesday night’s vote, said Township Attorney Scott W. Kenneally. But Councilman Jim Fozman, the only council member to oppose the time limit, held up a photo he took of signs already showing the regulations – even though they had yet to pass council and cannot be enforced for another 20 days. 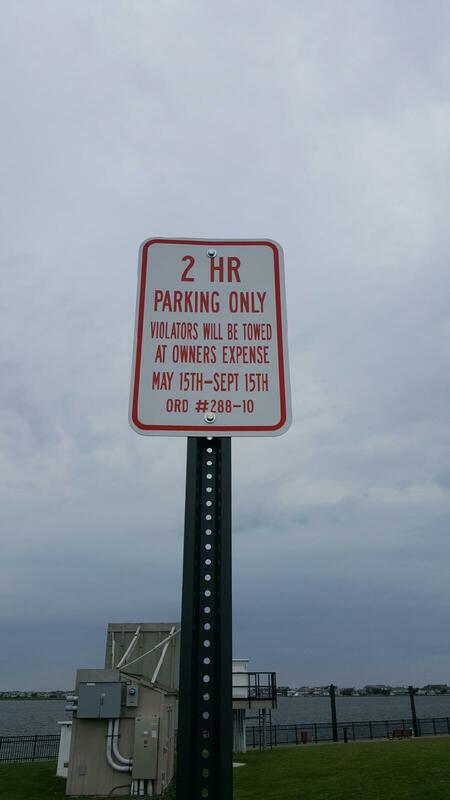 “There are 20 signs up there, this is a joke,” said Fozman, who questioned whether there was a problem with parking at the park and whether the township could properly enforce the time limit. Business Administrator Joanne Bergin said she took responsibility for the signs being erected prematurely, adding they would be covered until the regulations become active. “They were installed at my direction and I will have them covered,” said Bergin. The ordinance sets a two hour parking limit at the parking lot adjacent to the playground between May 15 and Sept. 15. The ordinance expires Sept. 15, giving council members the option to renew it for another year after seeing how the regulations work out this season. Ducey said the time limit may be expanded to cover Bayside Park off Route 35, since beachgoers sometimes park there for extended times instead of using the township’s official, fee-based lots closer to the beach.